Aimed at providing practical and realistic advice on all dating and relationship dilemmas, this book is a must-have manual for singles, couples, men and women. Whatever the state of your love life, it's got the answers to all your dating and relationship dilemmas with advice on everything from flirting and flings to monogamy and marriage. 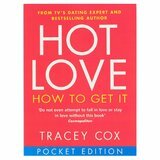 There's hot tips on getting over an ex, where to meet a partner, how to spot the losers and how to breeze through that first date, as well as hints on fixing the fights, surviving jealousy and infidelity and breaking bad love habits. I recieved this book as I was having a lot of problems in my relationship and I'll tell you something, I needed this! The book is set in different sections so it makes it easy for you to jump straight to the section that concerns you the most! I had been in a relationship(and marriage) for several years when I got this and it had turned very sour. I was at breaking point and was ready to leave. It does put things into perpective for you though, some things that you may class as 'problems' can actually be something so small and common, Tracy Cox makes you realise that your not alone which is great! It does involve a lot of 'hands on' work, you need to do the activities it involves, you need to make the time to make this work! I was sceptical at first as I believed nothing could help me, but since reading it and taking into account everything that is said in it, my relationship seems to be getting back on track. This book does not give you miracles - it does, however, give you the strength and energy to believe in yourself and your relationship and therefore should give you the push you need to retain and maintain your relationship. Something everyone needs on their bedside table! By the time I had this book I was already with my partner, however, it was still helpful and funny. 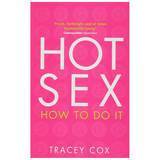 Yet again this is another book that Tracey Cox has written with compassion, sensativity and buckets full of humour. It is perfect for anyone who hasn't started dating, or hasn't had a long term relationship or even after a divorce and are just starting to think about dating again. It helped fine tune the odd points of my relationship, there weren't many and only minor ones but it was still the best book for the job. Even now I still occassionally pick it up to read if just for a laugh. Written in a caring way. Great for anyone who is out of touch.